I take a Leap ahead with grace and grandness. I am the result of precision and craftsmanship. doesn’t need an introduction. Neither would your address. This is here Kolkata’s past meets Kolkata’s present: the ultimate junction of heritage and ambition. This is Chowringhee, the place you will call home. Since its inception, the Royal Calcutta Turf Club has maintained the racecourse. The vast green expanse within the heart of the city is an unmistakable sight. It’s a major source of entertainment and fun in the city. The illustrious Race Course reminds people of the British Era. It has been a symbol of British Rule for over two centuries. When Queen Victoria passed away in 1901, the British Government first wanted smaller memorial halls or monuments in the state capitals of India, but Lord Curzon, the then Viceroy of India, had other ideas. The building of Renaissance architecture with traces of Saracenic influence, was built in memory of Queen Victoria and this architectural marvel took fifteen years to complete. The Gardens came into being when the Governor General, Lord Auckland, desired to create a circus and a garden. The site was initially named “Auckland Circus Gardens”. The stadium is the largest cricket stadium in India and the second largest in the World by its seating capacity. 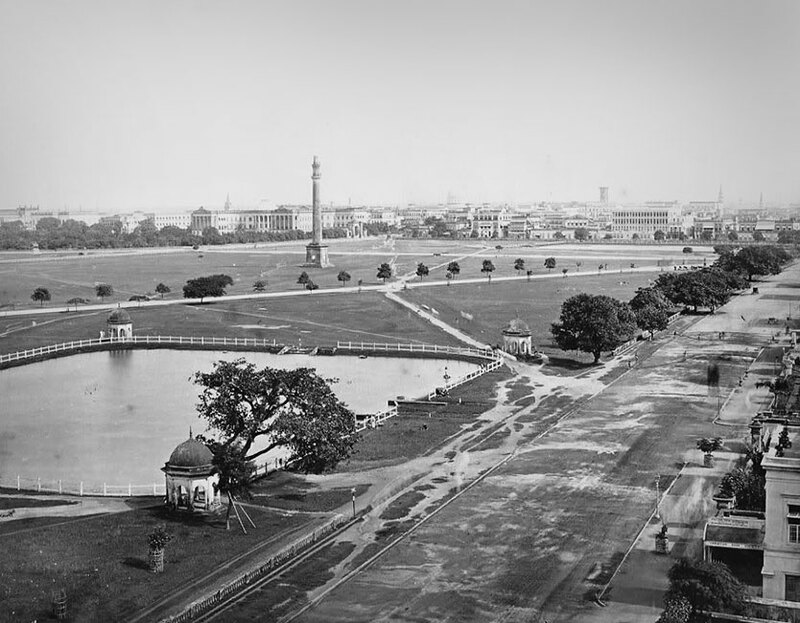 It was one of the first cricket stadiums in India where floodlights were installed and Day & Night matches were played. As the saying goes in the world of cricket, that a cricketer`s cricketing education is incomplete till he has played in front of a packed “Eden Gardens”. An iconic landmark of Kolkata, the Howrah Bridge is one of the longest cantilever bridges in the world. An engineering marvel, the steel bridge with its riveted structure carries a daily traffic of over 1,00,000 vehicles and a countless number of pedestrians. Another iconic bridge built over the River Hooghly is that of the Vidyasagar Setu. It is considered to be the longest cable-stayed bridge in India and one of the longest in Asia. The bridge is having 121 cables and can handle a traffic of 85000 vehicles daily. Residents of the Ultra-Luxury residential tower will wake up every morning to see the Victoria Memorial in all its glory, the Maidan in its green splendour or the distant Howrah Bridge standing tall over the glistening Hooghly river. While these are just to name a few, it is best left to “seeing is believing”. Iconic Address – Wide boundless and luxury addresses seamlessly blend at the premium location where the best of contemporary style and historical reference of Chowringhee easily converges the present to reclaim the past. Developer credential – Four of the city’s most trusted developers have come together to build Kolkata’s newest landmark. Green Building – Green building features like STP, Solar panel, Electrical car charging facility etc have given THE 42 a Gold rating pre-certification from IGBI. Height -Eastern India’s tallest residential tower fulfilling the promise of a360-degree view and a new landmark on the Kolkata skyline. Panoramic view –Experience Kolkata’s unobstructed view of iconic architectural wonders precious to the city. Earthquake resistance – A strong foundation with a 56 metres deep piling has been used in THE 42.